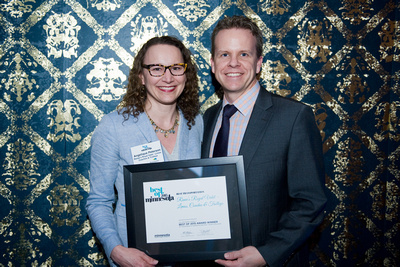 Renee’s Royal Valet — Limos, Coaches & Trolleys was named 2015’s Best Transportation Provider by the readers of Minnesota Meetings + Events Magazine. This level of recognition is possible because of our industry-leading drivers, our unparalleled support staff, our awesome fleet, our passion for excellence and our amazing customers. Thank you so much — what an incredible honor! Check out our other Awards and Honors.